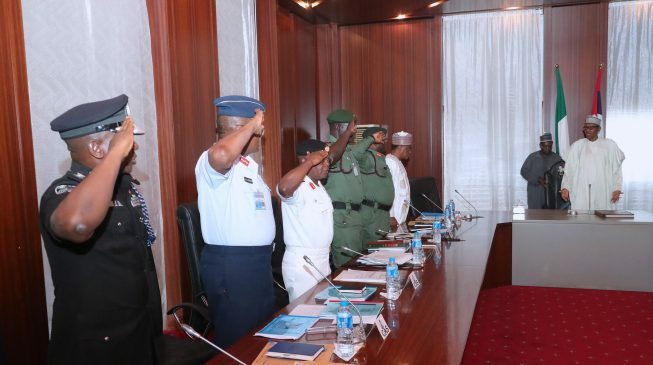 President Muhammadu Buhari has summoned the service chiefs to an emergency security meeting over the killing of Nigerian soldiers by Boko Haram insurgents. NAN report that a source, who preferred not to be named, confirmed the development in Abuja on Friday. Scores of soldiers were killed during the attacks, which occurred at Metele, a remote village bordering Nigeria and Chad. Although some estimates put the death toll at over 100, the army failed to state the casualty figure when it spoke on the attacks on Friday. 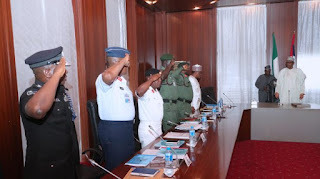 “The president has called an urgent meeting with the service chiefs,” the source was quoted as saying. The president had earlier dispatched Mansur Dan-Ali, minister of defence, to Chad for an emergency meeting with Chadian President, Idris Deby, on the deterioration of security at the Nigeria-Chad border. Dan-Ali had earlier briefed the president on security development across the country.